Making sure your school websites meets ADA compliance requirements is now a necessity—not just because the laws for this are now being enforced but because it is important that you eliminate any barriers to access to your school website and the information you provide. With the numbers of people using digital technology to manage their daily lives, it is more critical than ever that all of them can access your website from any device, whether or not they have a disability. It is estimated that as many as 15–20% of the population are affected with some type of disability, so we’re talking about a large swath of your site visitors are being affected. So, in addition to being the right thing to do, it is an important aspect of effective school marketing—making your website available to everyone on any device. So, what is web accessibility? We typically think of a disability as affecting the way someone gets around—requiring a wheelchair for example. But as more and more of our daily interactions are done online, those areas of access, or lack thereof, make us look at website accessibility much more closely. If someone doesn’t have full use of their hands, they may not be able to use a mouse and are now using their keyboard or voice input instead. Someone who has visual impairments (anything from blindness to poor vision to color blindness) may be using a screen reader, which reads the text out loud. The best school websites are fully accessible. They have removed barriers that would prevent visitors from getting to the information they need. What does school website accessibility look like? The goal is to conform to the Web Content Accessibility Guidelines (WCAG 2.0). By doing this, you will not only provide access to those with disabilities, but because you are using better web practices, you are also likely to have faster loading pages, enjoy better search engine results, and see better integration with new devices as they are developed. This is far from the comprehensive list that is required by Section 504 and 508 of the Rehabilitation Act, but it serves to give you an idea how the set-up, design, maintenance, and ongoing management of your website is critical if you are going to provide an accessible school website to your site visitors. Use a free online website accessibility evaluation tool to test where your site is currently non-compliant. Identify the barriers and determine which are caused by issues you can easily fix (like adding Alt Text to your images) and which may be software limitations for which you’ll have to reach out to your software developers or your IT department. If you use a CMS system, this may mean school website template modifications must be made by your school website provider. If they can’t or won’t make those modifications, then it is time to find a new vendor. Create a policy. Your policy will set the standards to which your school adheres. It is also wise to create a web page that describes your compliance level and a way to reach you if they have any website compliance issues (so you can help them resolve those issues). Do a thorough, hands-on review of your website for accessibility. The online accessibility tools will catch many issues, but it will miss others and sometimes indicate a problem that doesn’t actually exist. It will take a real live human to determine which is which. Train everyone involved with updating your website, or posting documents or videos on the website, with accessibility training. If they touch the website, or you are linking to information that is necessary for your site visitors to access, then it all must be accessible. This means the secretary who creates the Word document must know how to create it in an accessible format. So, this training must take place for each new person involved with the website. Many schools provide this training annually. Conduct periodic checks to see if you are maintaining your accessibility standards. This is especially true if you have multiple people submitting updates or editing your sites. Warning: You typically do NOT need an expensive annual reporting subscription (and even if you have one, it will only tell you what to fix, and you must still do all of this manually). Many of these services are available online for free. We like WebAIM for their website accessibility checker. Yes, you have to check each page, but the thousands of dollars you will save, may be worth it. So, where’s the Easy button? We realize this can sound a bit overwhelming. But if you are a school that simply can’t manage all of this in-house, we can provide an alternative. Online Accessibility Training. If all you need is to have your staff understand how to create documents and videos that are accessible by screen readers, we have a very simple system you can use for $249 a year (for your entire district). It allows any staff you assign to read through the training or watch the video training on the various programs commonly used (video captioning, Word documents, PDF documents, Google Docs, etc.). It’s nothing fancy, but it gets the job done. You can then log in and see who took the training on which area to be sure your staff is trained. Audit Services: If your school has been notified that you are going to be audited by the Office of Civil Rights (OCR), we can perform your audit for you and tell you what needs to be fixed, and check it again once your staff has made the fixes to comply with OCR requirements. Hopefully, you’ll fix any issues long before someone reports your school sites to the OCR, but if they do, give us a call. We’re affordable and friendly at least! School website management is an important aspect of your school’s customer service, school marketing, and communications strategies. That now also includes maintaining an ADA compliant website. 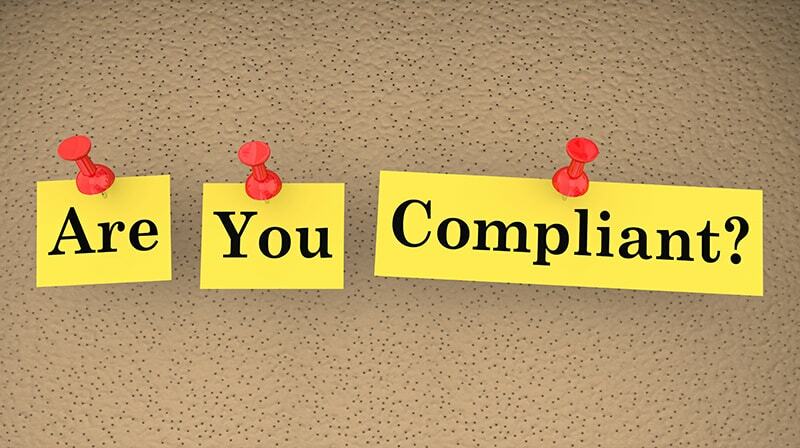 Whether you manage these tasks in-house or you use services like ours to assure compliance, put a plan in place soon.